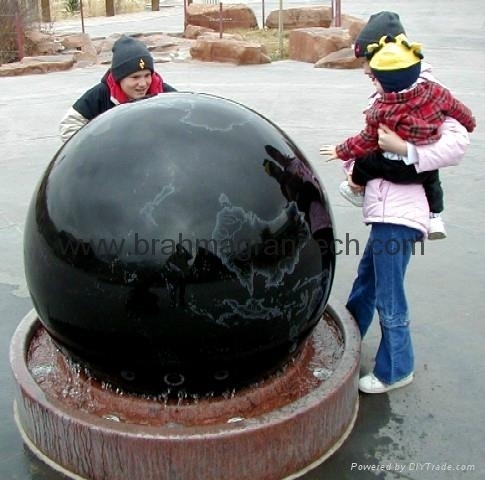 Even though the ball weighs a massive 10000kg , even a small child can change the course of it and send it into an accelerated spin. 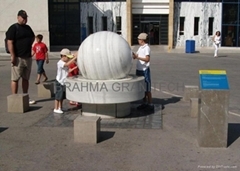 There are no belts, pulleys or wheels used to make the ball spin. It is floating on water. 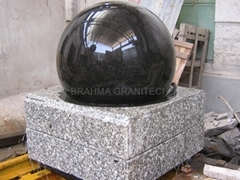 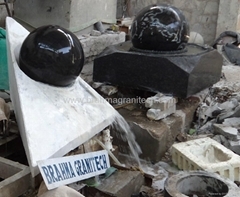 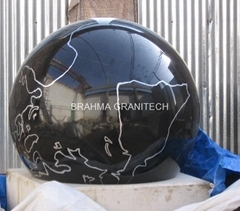 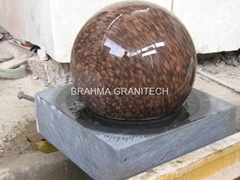 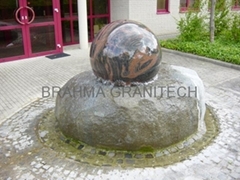 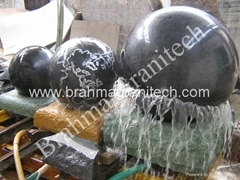 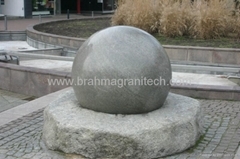 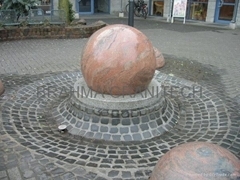 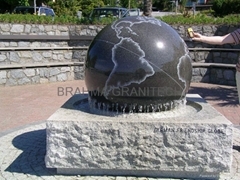 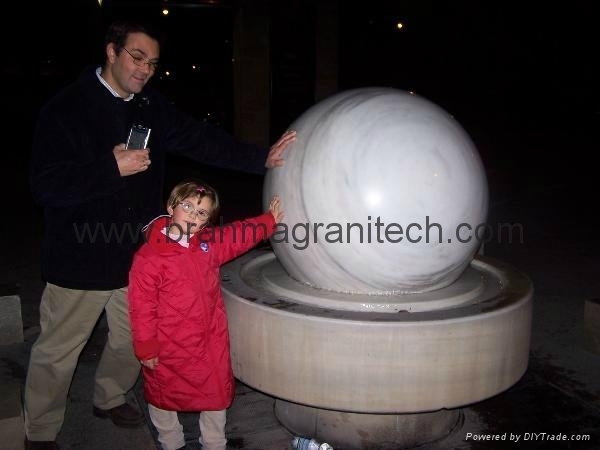 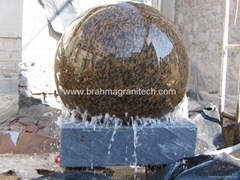 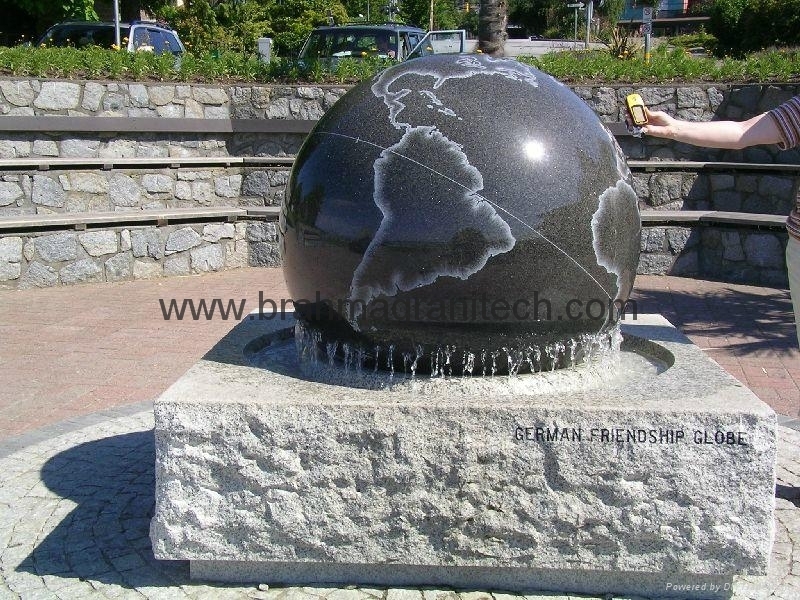 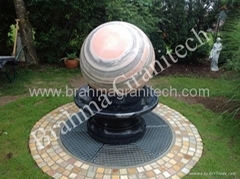 The Granite sphere fountain comprises two key elements: the ball itself and the socket it sits in. 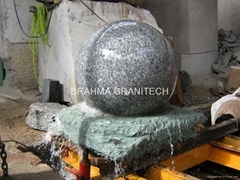 Cutting these two is a very complicated process as any large differences between the contours of them will prevent the ball from turning properly or sitting in the socket. 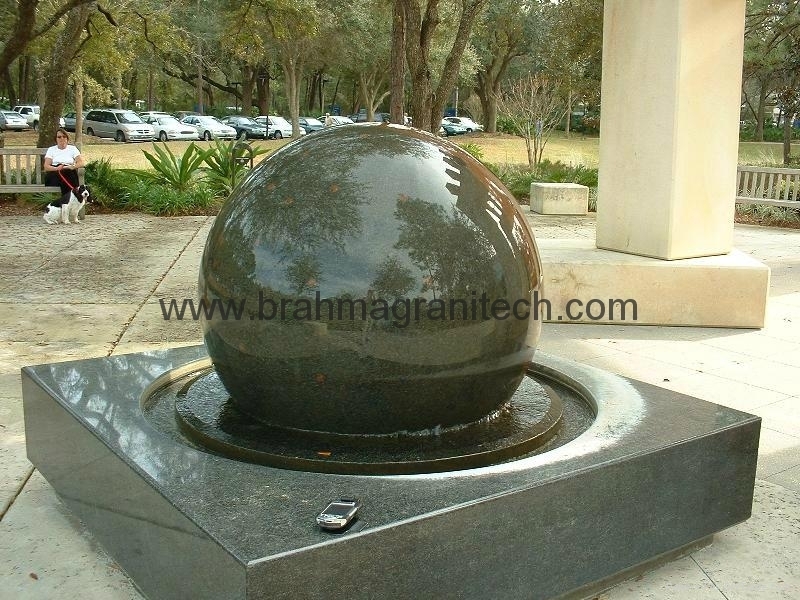 The ball and base are machined at the same time to ensure any differences between them are minute.When finished and the ball is placed in the socket, the space between the two will be less than the thickness of a business card. 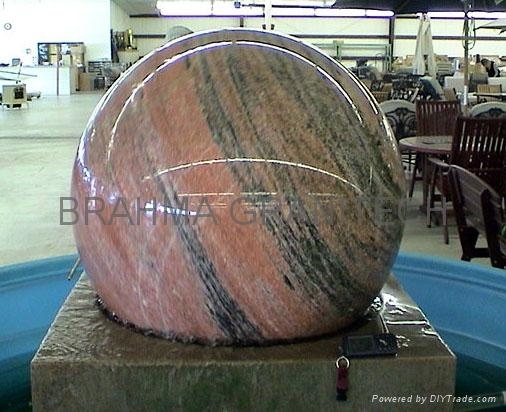 you can spin ball heavy weight 5 ton of granite! 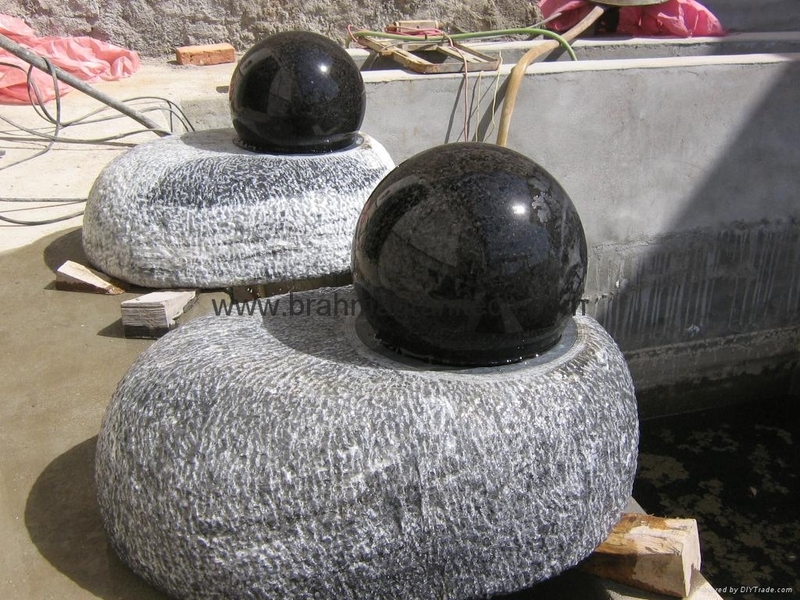 You can spin the granite ball because it is floating on water. 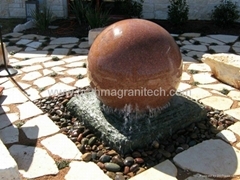 The water pressure is only about 3 pounds per square inch .in the gap between the ball and the cup. 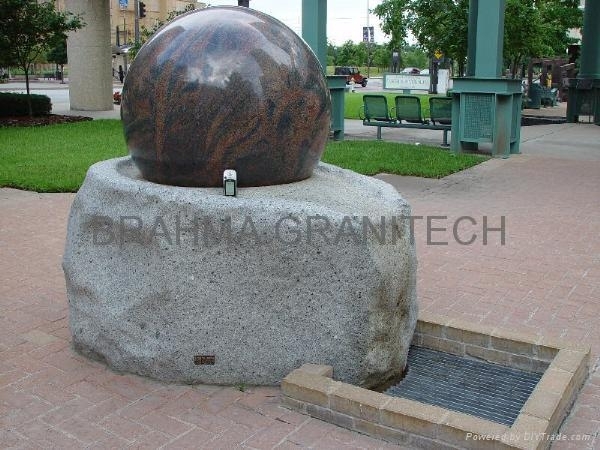 There are enough square inches for this pressure to hold up to tons weight of granite,marble or any stone.